Lee Brice (born Kenneth Mobley Brice, Jr., June 10, 1979) is an American country music singer and songwriter, signed to Curb Records. Brice has released four albums for the label: Love Like Crazy , Hard to Love , I Don't Dance and Lee Brice . He has also released eleven singles, of which four were written by his cousin, Michael Cericola, and have charted at number one on Billboard Hot Country Songs and Country Airplay: "A Woman Like You", "Hard to Love", "I Drive Your Truck", and "I Don't Dance". He has also charted within the top 10 with "Love Like Crazy", "Parking Lot Party", "Drinking Class", and "That Don't Sound Like You". "Love Like Crazy" was the top country song of 2010 according to Billboard Year-End, and broke a 62-year-old record for the longest run on the country chart. Curb Records is an American major record label started by Mike Curb originally as Sidewalk Records in 1963. From 1969 to 1973, Curb merged with MGM Records where Curb served as President of MGM and Verve Records. Love Like Crazy is the debut studio album by American country music artist Lee Brice. It was released on June 8, 2010, via Curb Records. Prior to the album's release, Brice charted three singles: "She Ain't Right," "Happy Endings" and "Upper Middle Class White Trash." The album's title track debuted in August 2009. The album's second single "Beautiful Every Time" released to radio on October 25, 2010. Besides his own material, he has also co-written singles for artists like Garth Brooks, Adam Gregory, the Eli Young Band, and Tim McGraw. One of his compositions, Brooks's "More Than a Memory", was the first song ever to debut at number one on the country chart, while the Eli Young Band's "Crazy Girl" was the Billboard Year-End top country song of 2011. Troyal Garth Brooks is an American singer and songwriter. His integration of rock and roll elements into the country genre has earned him immense popularity in the United States. Brooks has had great success on the country single and album charts, with multi-platinum recordings and record-breaking live performances, while also crossing over into the mainstream pop arena. Adam Gregory is a Canadian country music singer-songwriter and actor. Active since 2000, he has recorded four studio albums to date, including The Way I'm Made (2000) and Workin' on It (2002), both on Epic Records, and a self-titled album in 2006 on Mensa Records. He has charted several singles on the Canadian country music charts, including two singles which were also Top 40 hits on the Billboard Hot Country Songs chart in the United States. In 2010, Gregory starred in WWJD, a film-based on In His Steps by Charles Sheldon. Eli Young Band is an American country music band composed of members who met while students at the University of North Texas in Denton, Texas: Mike Eli, James Young (guitar), Jon Jones, and Chris Thompson (drums). They released their self-titled debut album in 2002, followed by the Carnival records release Level in 2005. Their third album, Jet Black & Jealous", was released in 2008 by Universal South Records. A second major-label album, Life at Best", was released in 2011 by Republic Nashville, with 10,000 Towns following in early 2014. The band has charted eight times on the Billboard country charts, with three of their singles having reached number 1: "Crazy Girl", which was the top country song of 2011 according to Billboard Year-End, along with "Even If It Breaks Your Heart" and "Drunk Last Night". Kenneth Mobley Brice, Jr. was born on June 10, 1979 in Sumter, South Carolina, to Kenneth, Sr. and Carleen Brice  His younger brother, Lewis, was a contestant on Season 1 of Country Music Television's Can You Duet . As a child, he played piano and guitar, sang in church, and wrote his own songs. He entered and won three different talent contests in high school. 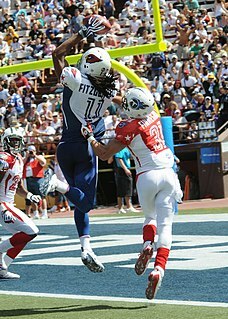 He attended Clemson University on a football scholarship. He played special teams there as the long snapper, but after an arm injury, he decided to focus on a country music career although he is not listed on any official Clemson roster. Clemson University is an American public, coeducational, land-grant research university in Clemson, South Carolina, United States. Founded in 1889, Clemson is the second-largest university in student population in South Carolina. For the fall 2017 semester, the university enrolled a total of 19,402 undergraduate students and 4,985 graduate students, and the student/faculty ratio was 18:1. Clemson's 1,400 acre campus is in the foothills of the Blue Ridge Mountains and sits next to Lake Hartwell. The university manages the nearby 17,500 acre Clemson Experimental Forest that is used for research, education, and recreation. 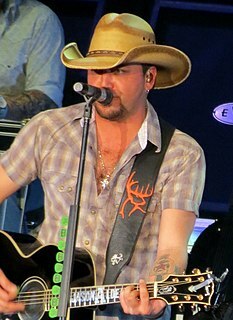 Jason Aldine Williams, known professionally as Jason Aldean, is an American country music singer. Since 2005, Jason Aldean has been signed to Broken Bow Records, a record label for which he has released eight albums and 24 singles. His 2010 album, My Kinda Party, is certified quadruple-platinum by the Recording Industry Association of America (RIAA). His 2012 album Night Train is certified double-platinum, while his 2005 self-titled debut, 2007 album Relentless, 2009 album Wide Open, 2014 album Old Boots, New Dirt are all certified platinum. Keith Gattis is an American country music artist, songwriter, guitarist and producer. Gattis has released two studio albums and charted one single while signed to RCA on the Billboard Hot Country Singles & Tracks chart: "Little Drops of My Heart". In 2002, Gattis joined Dwight Yoakam's as band leader and lead electric guitar player and is credited on Yoakam's Blame The Vain. In 2005, Gattis released his critically acclaimed record Big City Blues. Gattis has collaborated on records with George Jones, George Strait, Kenny Chesney, Willie Nelson, Kid Rock, Randy Houser, Charlie Robison, Gary Allan, Ashley Monroe, Allison Moorer, Waylon Payne, Miranda Lambert, Wade Bowen, Sara Evans, Dwight Yoakam, Brandy Clark, Randy Rogers Band, Randy Travis, Eli Young Band and more. Cowboy Crush is an American country music band signed to Curb Records' Asylum/Curb division. The group is composed of Trenna Barnes, Debbie Johnson, Becky Priest, and Renaé Truex. Until 2006, Darla Perlozzi (drums) was also a member of the group. Perlozzi co-wrote Big & Rich's 2007 single "Loud". Also in 2007, he signed to Curb Records, releasing his debut single "She Ain't Right", which peaked at number 29 on the country chart. It was followed by "Happy Endings" and "Upper Middle Class White Trash" at numbers 32 and 44. All three songs were to have been included on an album entitled Picture of Me,  which was never released. He continued to write songs for others, including Canadian singer Adam Gregory's singles "Crazy Days" and "What It Takes". He appeared on Cledus T. Judd's 2007 album Boogity, Boogity – A Tribute to the Comedic Genius of Ray Stevens , singing duet vocals on a rendition of the Albert E. Brumley gospel song "Turn Your Radio On". "Crazy Days" is a song recorded by Canadian country music artist Adam Gregory. It was released as the first single from Crazy Days, his first album to be released in the United States. It reached number 98 on the Canadian Hot 100. It also peaked at number 33 on the Billboard Hot Country Songs chart in the United States. "What It Takes" is a song recorded by Canadian country music artist Adam Gregory. It is the second single from Crazy Days, his first album to be released in the United States. The song has reached top 40 on the Billboard Hot Country Songs chart in the United States. Barry Poole is an American country music artist who records under the name Cledus T. Judd. Known primarily for his parodies of popular country music songs, he has been called the "Weird Al" Yankovic of country music, and his albums are usually an equal mix of original comedy songs and parodies. Judd has released eleven studio albums and two EPs, and several of their singles have entered the Billboard Hot Country Songs charts. His highest chart peak is the No. 48 "I Love NASCAR", a parody of Toby Keith's 2003 single "I Love This Bar". In early 2014, Brice released the single "I Don't Dance". It was the lead single to his third studio album of the same name, which was released on September 9, 2014. Brice produced the album by himself. "I Don't Dance" became Brice's fourth number one hit in August 2014. "Drinking Class" is the album's second single. it peaked at number two on the Country Airplay chart in May 2015. The album's third single, "That Don't Sound Like You" released to country radio on May 11, 2015. Thomas Rhett Akins Sr. is an American country music singer and songwriter. Signed to Decca Records between 1994 and 1997, he released two albums for that label, followed by 1998's What Livin's All About on MCA Nashville. Friday Night in Dixie was released in 2002 on Audium Entertainment. Overall, Akins's albums have accounted for fourteen singles on the Billboard Hot Country Songs, including the number one "Don't Get Me Started" from 1996. Jerrod Lee Niemann is an American country music singer and songwriter. He has released one single for Category 5 Records (2006), three albums for Sea Gayle Music/Arista Nashville: Judge Jerrod & the Hung Jury (2010), Free the Music (2012), and High Noon (2014), and his current single "God Made a Woman" for Curb Records. These albums have produced a combined ten Top 40 entries on the Hot Country Songs and Country Airplay charts, including the Platinum Number 1 singles "Lover, Lover" and "Drink to That All Night" and Gold Top 5 single "What Do You Want". He has also co-written three singles for Garth Brooks: the chart topping Chris LeDoux tribute "Good Ride Cowboy", as well as "That Girl Is a Cowboy" and "Midnight Sun". Jamey Johnson, Lee Brice, Blake Shelton, Colbie Caillat, Diamond Rio, The Cadillac Three, Mark Chesnutt, John Anderson, Neal McCoy, Christian Kane, and Julie Roberts have also recorded Niemann's songs. Niemann has appeared as a guest artist on The Doobie Brothers Southbound. As a singer and songwriter, Niemann has sold over 20 million albums and downloads. Christopher Pierre Janson is an American country music singer and songwriter. Janson has recorded two full-length albums, Buy Me a Boat and Everybody, through Warner Bros. Records Nashville, along with one extended play each for Bigger Picture Music Group, Columbia Records, and Warner Bros. Nashville. He has charted eight singles on Hot Country Songs and Country Airplay, with three top ten hits on the latter in "Buy Me a Boat", "Fix a Drink", and "Drunk Girl". In addition to his own material, Janson has performed on albums by Holly Williams and Lee Brice, and has co-written singles for Tim McGraw, LoCash, and Randy Houser. "Love Like Crazy" is a song written by Tim James and Doug Johnson, and recorded by American country music artist Lee Brice. It was released in August 2009 as the fourth single of his career, and the first single and title track from his album Love Like Crazy. In September 2010, the song broke a record established by Eddy Arnold for the longest chart run in the history of the Hot Country Songs charts. "A Woman Like You" is a song recorded by American country music artist Lee Brice. It was released in October 2011 as the first single from Brice's album Hard 2 Love. The song was written by Jon Stone, Phil Barton and Johnny Bulford. The song is about the singer being questioned by his wife about what he would've done with his life had he not fell in love with her. 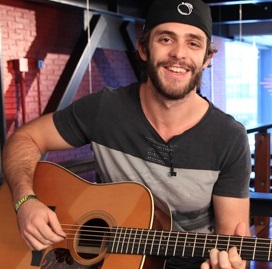 Thomas Rhett Akins Jr. is an American country music singer and songwriter. His father is the singer Rhett Akins. Rhett has released three studio albums for Big Machine Records' Valory Music imprint: It Goes Like This (2013), Tangled Up (2015), and Life Changes (2017). These albums have produced seventeen singles on the Hot Country and Country Airplay charts, with twelve reaching the No. 1 position on the latter: "It Goes Like This", "Get Me Some of That", "Make Me Wanna", "Crash and Burn", "Die a Happy Man", "T-Shirt", "Star of the Show", "Craving You", "Unforgettable", "Marry Me", "Life Changes", and "Sixteen". In addition to much of his own material, Rhett has written singles for Jason Aldean, Lee Brice, Florida Georgia Line, LoCash and Michael Ray among others. "Hard to Love" is a song written by Billy Montana, John Ozier, and Ben Glover and recorded by American country music artist Lee Brice. It was released in May 14, 2012 as the second single from Brice's album Hard 2 Love. "I Drive Your Truck" is a song written by Jessi Alexander, Connie Harrington, and Jimmy Yeary and recorded by American country music artist Lee Brice. It was released in December 2012 as the third single from his album Hard 2 Love. 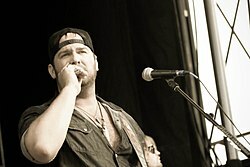 "Parking Lot Party" is song co-written and recorded by American country music artist Lee Brice. It was released in May 2013 as the fourth single from his 2012 album Hard 2 Love. The song was written by Brice, Rhett Akins, Thomas Rhett and Luke Laird. "Beautiful Every Time" is a song recorded by American country music artist Lee Brice. It was released in October 2010 as the second single from his debut album, Love Like Crazy. Brice wrote the song with Rob Hatch and Lance Miller. "I Don't Dance" is a song co-written and recorded by American country music artist Lee Brice. It was released on February 18, 2014 as the first single and title track from Brice's third studio album of the same name. Brice co-wrote the song with Rob Hatch and Dallas Davidson. I Don't Dance is the third studio album by American country music artist Lee Brice. It was released on September 9, 2014 via Curb Records. 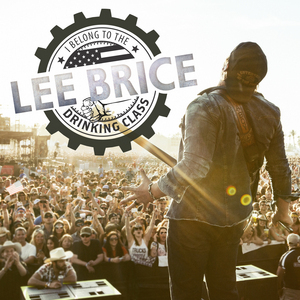 "Drinking Class" is a song written by Josh Kear, David Frasier and Ed Hill and recorded by American country music artist Lee Brice. It was released in September 2014 as the second single from his third studio album, I Don't Dance. "That Don't Sound Like You" is a song co-written and recorded by American country music artist Lee Brice. It was released in May 2015 as the third single from his third studio album I Don't Dance. The song was written by Brice, Rhett Akins and Ashley Gorley. American singer and songwriter Lee Brice has released four studio albums, fourteen singles, and nine music videos. "A Little More Love" is a song recorded as a duet by American country music artists Jerrod Niemann and Lee Brice. It was released in April 2016 as the first single from Niemann's fourth studio album, This Ride. The song was written by Shane McAnally, Ross Copperman, Natalie Hemby and Kristi Neumann. The song was Niemann's first single released through Curb Records. This Ride is an album by American country music singer Jerrod Niemann. It is his first release for Curb Records, and it was issued on October 6, 2017. The album includes the single "A Little More Love", a duet with labelmate Lee Brice. "Rumor" is a song performed by American country music singer Lee Brice. It was written by Brice together with Ashley Gorley and Kyle Jacobs. It was released to radio on July 16, 2018 as the second single from Brice's self-titled studio album. 1 2 Phillips, Jessica (24 May 2010). "Pictures of Lee: Hit songwriter Lee Brice puts the finishing touches on his debut album". Country Weekly . 17 (21): 50–51. ISSN 1074-3235. 1 2 3 4 5 Deming, Mark. "Lee Brice biography". Allmusic . Retrieved 2008-03-04. ↑ "CMT : Can You Duet : Lewis Brice". Cmt.com. Retrieved 17 October 2014. ↑ "Garth Brooks Back on Top". Great American Country . 5 September 2007. Retrieved 5 August 2010. 1 2 Whitburn, Joel (2008). Hot Country Songs 1944 to 2008. Record Research, Inc. p. 59. ISBN 0-89820-177-2. 1 2 Hackett, Vernell (21 September 2009). "Lee Brice Says It's OK to Let His Songs Go". The Boot. Retrieved 1 March 2010. ↑ Love Like Crazy (CD booklet). Lee Brice. Curb Records. 2010. 78977. ↑ Trust, Gary (8 July 2010). "Chart Beat Thursday: Katy Perry, Lee Brice, Judy Collins". Billboard. Retrieved 9 July 2010. ↑ Trust, Gary (7 September 2010). "Lee Brice Breaks Country Songs Longevity Record". Billboard. Retrieved 7 September 2010. ↑ Conaway, Alanna. Lee Brice’s Sophomore Album ‘Hard 2 Love’ in Stores April 24. TasteofCountry.com. March 6, 2012. Retrieved March 6, 2012. ↑ "American Young". Allmusic. Retrieved 8 October 2015. 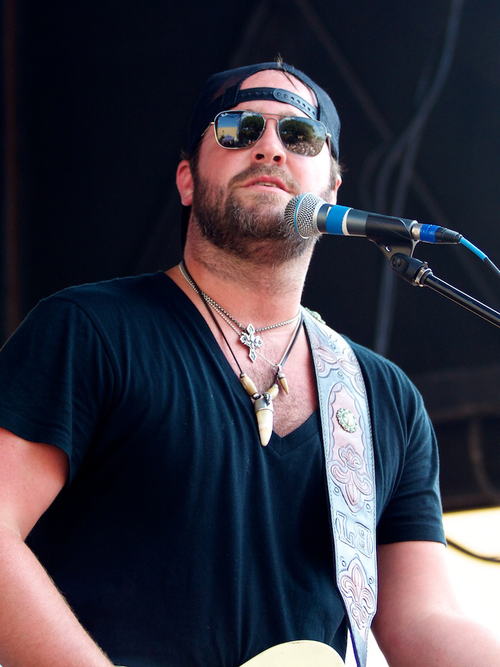 ↑ "Lee Brice Unveils New Album Coming Sept. 9". MusicRow - Nashville's Music Industry Publication - News, Songs From Music City. Retrieved 17 October 2014. ↑ "Lee Brice Announces Release Date for New Self-Titled Album & Drops New "Boy" Video [Watch]". 19 May 2017. ↑ Bonaguro, Alison (19 February 2014). "Lee Brice Raves About His Superhuman Wife". Country Music Television . Retrieved 16 March 2015. ↑ Hard 2 Love (CD booklet). Lee Brice. Curb Records. 2012. 79316. ↑ "Credits". Allmusic. Retrieved 13 May 2013. 1 2 "Miranda Lambert, Kenny Chesney lead ACM Award Nominations". Billboard . Prometheus Global Media . Retrieved February 2, 2011. 1 2 "Grammys 2014: The complete list of nominees and winners". Los Angeles Times . Tribune Company . Retrieved February 16, 2014. Wikimedia Commons has media related to Lee Brice . "Upper Middle Class White Trash"